Bioinformatics was a BOOM its was predicted to be next big thing, yet the industry which had hundereds of fragmented mom and pop kind small companies are now under mergers and acquisitions, Does everyone got their money back. Chikken Tikka and Alzheimer’s !! Scientists have for the first time isolated bisdemethoxycurcumin, the active ingredient of curcuminoids, a natural substance found in turmeric root that stimulates the immune system to destroy brain-clogging proteins that cause Alzheimer’s. 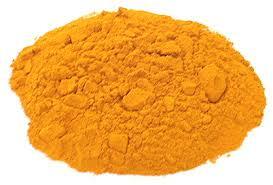 Researchers found that bisdemethoxycurcumin boosted immune cells called macrophages to clear amyloid beta. Amyloid beta is a peptide that forms the plaques found in Alzheimer’s disease. Amyloid plaques are found outside the neurons. Two major pathways are involved in breakdown of APP (amyloid precursor protein) which makes the protein called B-amyloid protein. responsible for plaques .One pathway is normal and causes no problem. The second results in the changes seen in Alzheimer’s and in some of the other dementias. Collaborative Drug Discovery enables scientists to archive, mine, and collaborate to more effectively develop new drug candidates for commercial and humanitarian markets. The technology enables novel community-based research efforts that become more and more useful as additional participants contribute data. Publicly available data sets currently in the system include the FDA orphan and approved drugs and small molecule drug discovery data dating back over half a century. These data sets pertain to a diverse group of neglected diseases, including malaria, tuberculosis, African Sleeping Sickness, Chagas Disease and Leishmania.